The school administration is pleased to have X Movement back at Gledhill this week. Over the past two years, students have participated in their Aussie X and X Dance programs. This week it’s X Fusion! Each class at Gledhill, JK through Grade 5, will have three sessions of X Fusion this week. Next Thursday, March 7th is Gledhill Skate Day for grades 1-5. Thank you to parents who have already returned their Skate Borrowing forms and Skate Day permission forms. Yesterday, a hot shot team of parents pre-fitted 57 kids with skates and helmets to borrow on Skate Day. If your child still needs to borrow skates and/or helmet on Skate Day – no problem- we will still have extra equipment for borrowing at the arena on the day of. Each class will need 3-4 parents to walk with the children and teacher to Ted Reeve and help with skate tying. Please indicate your desire to volunteer directly to your child’s teacher. 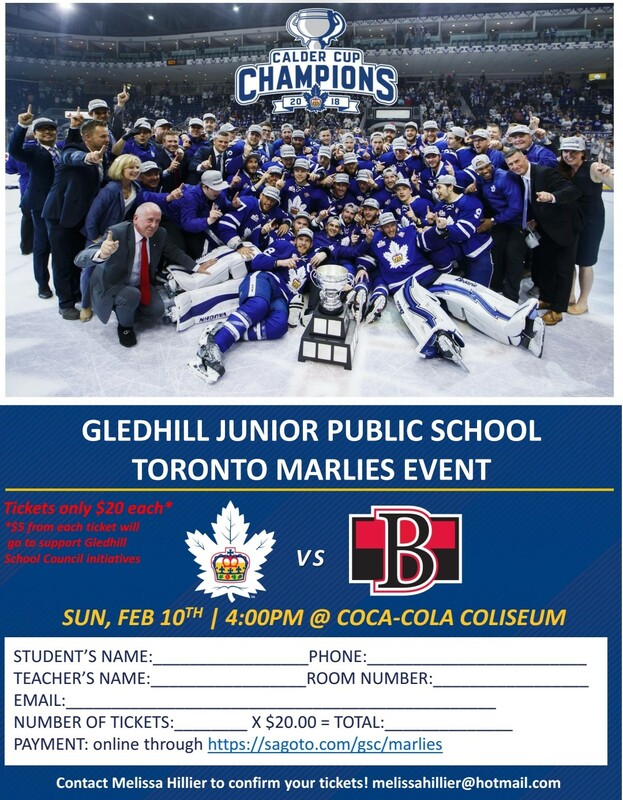 Gledhill familes and friends are taking over a section of the stadium at The Marlies game on Sunday, February 10th. 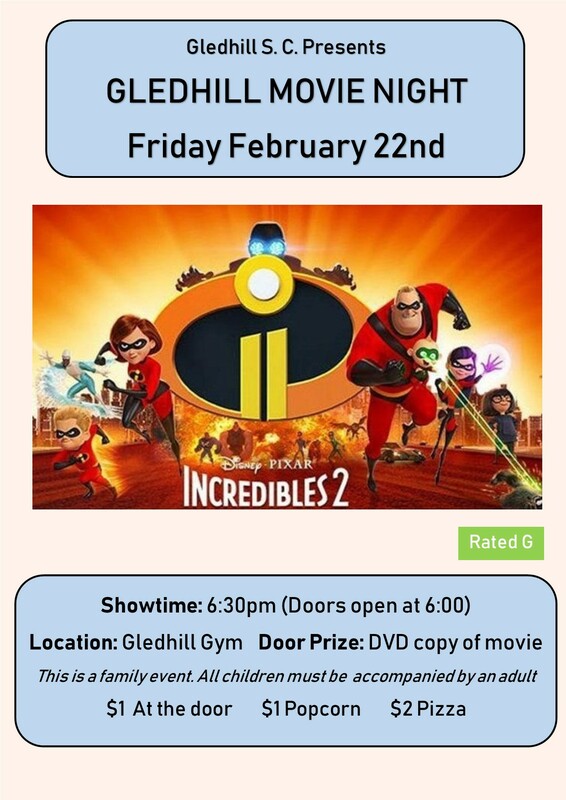 Come cheer on our home team while helping raise money for our school council supported programs.